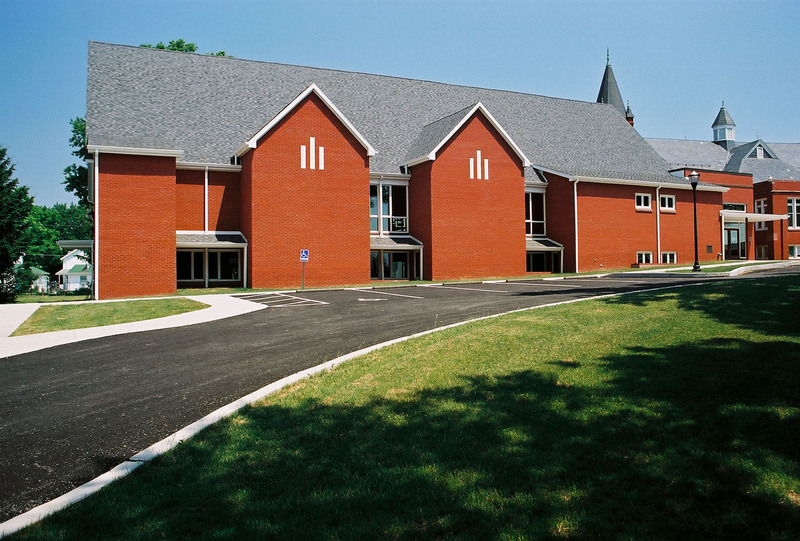 ​The geographic location of this church presented opportunities to design the expansion to the maximum advantage of the natural slope of the land. We had the space to incorporate historic architectural features of the original building into the expansion, resulting in a design concept that accommodates their wide mix of activities beyond worship, while respecting the historic integrity of the original sanctuary and building. 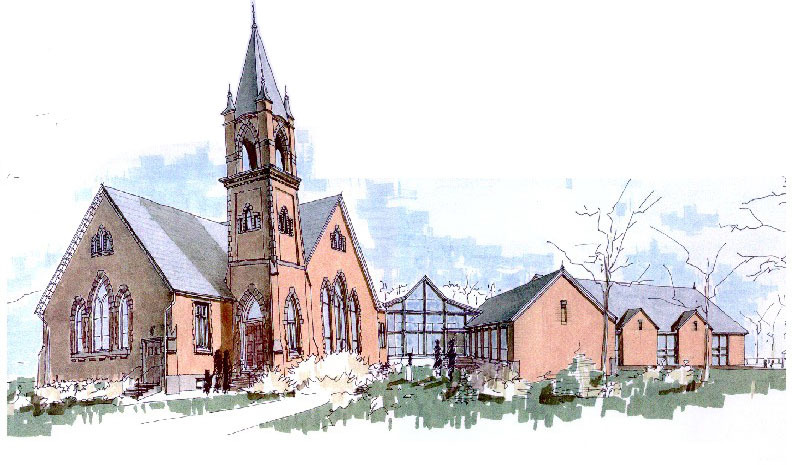 Architectural plans provide building committees and parishioners with a visual understanding of the scope of the work and the ultimate outcome before the work is begun. This design rendering shows how new additions can reflect and respect the original historic building by blending lines and features in an updated adaptation. 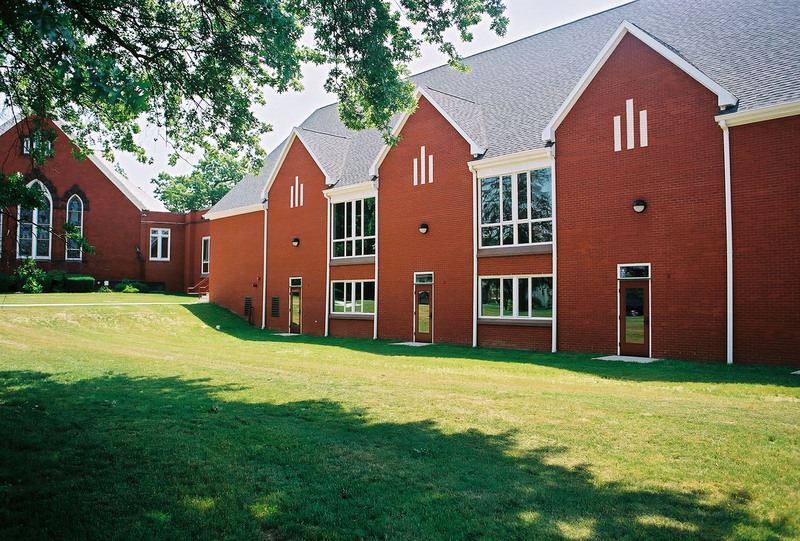 The building addition uses the property's natural slope to maximum advantage with huge expanses of windows and glass doors that merge the beauty of the outdoors with the new interior space. 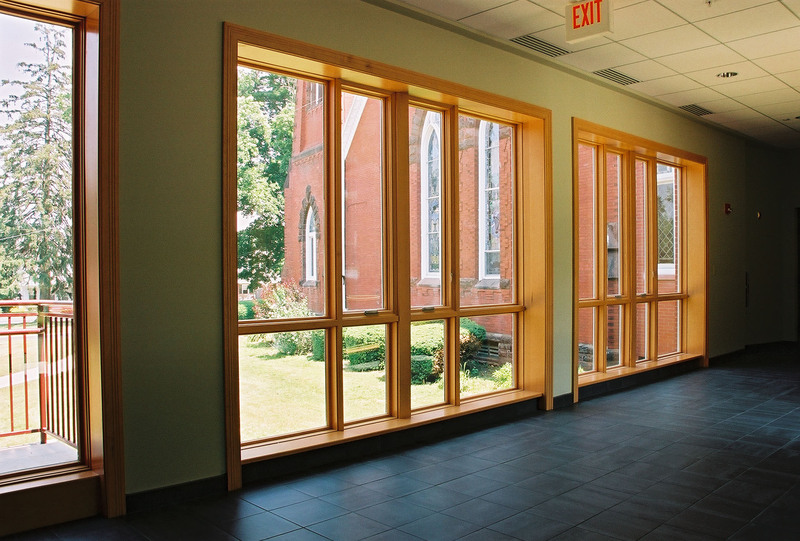 The original church building remains visible from within the new addition to provide a feeling of harmony and connectedness when moving from the old section to the new. Architectural and design features are mirrored on both sides of the new addition to maximize balance of natural light throughout the day. 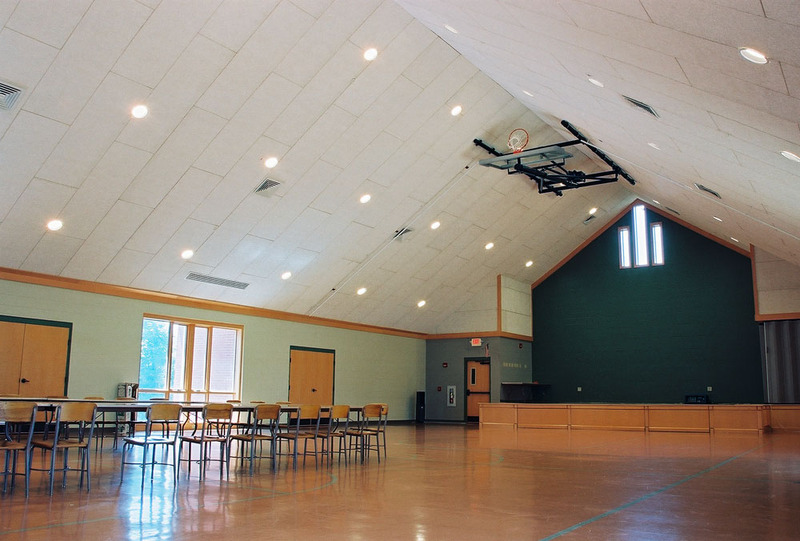 The new multi-function room makes it possible for the church to expand the activities and variety of events for the congregation and make the church not only a place of worship, but also a gathering place for meetings, activities, and fellowship used by groups and organizations from the greater community.